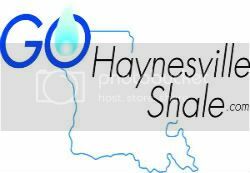 How up to date are you on recent developments in Shale Gas? It seems like that break throughs occur monthly! AEI Event: Hydraulic Fracturing: Beneficent Breakthrough or Environmental Endangerment? This is happening on Wednesday (25th) from 1-3pm. They typically have a video feed online, so check back on Wednesday. Hopefully, they will get into something of substance instead of just an "is-not & is-too" argument. The panel looks tilted in one direction. What do you think? Should we ever tap our Strategic Pertroleum Reserves?